ChainLink Research : Research :The Russians Are Coming? Stealing trade secrets, patent infringements, piracy, counterfeiting and product tampering damage companies, make people ill, and deflate honest competition. And if financial and trade hacks are not enough, we now fear that our IoT devices can be hacked. Most of all, hacking/stealing trade secrets and hijacking product quality challenge the very notion of innovation, capitalism and free trade--the system that has modernized the world since the industrial revolution and catalyzed the information age. Politics aside, cyber and supply chain security is an issue we should take seriously, since it can ruin our companies and our good name. We have been writing and advising about cyber and supply chain security for over a decade now.1 Of course the issue has been of great concern, but it always seems that companies are scrambling after the fact. 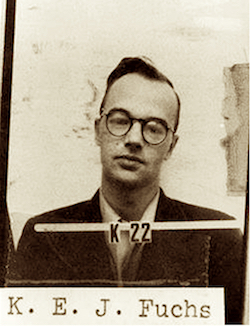 Fuchs was a scientist who worked on The Manhattan project and gave the secrets of the Atomic bomb to the USSR. By now we have all had a peek at the much awaited and not so surprising intelligence report on Russian hacking.2 At its core it is infuriating, anti-climactic and, quite frankly, boring. Spying is the second oldest profession (OK, maybe the oldest) and this is just a modern version. Since the beginning of the Atomic age, the Russians have been busily at work stealing our intellectual property on weapons3 as well as commercial products. But at the top of the list, of course, are the Chinese. Since Nixon went to China, they have developed sophisticated spying and hacking4 methods that are the source of much of their phenomenal economic rise and political “independent attitude” from the rest of the world. I wish the report had gotten more into the economic war aspect of our relationship with Russia. It was hinted at in one report on the attempts by the Russians to disseminate disinformation regarding fracking. Russia considers fracking or clean energy initiatives potential threats to their oil, gas, and chemical industries (upon which their economy is highly dependent), so mounting disinformation and creating doubt in the West about the safety and viability of fracking was a goal. But compared to what is really going on—an all-out cyber war—our response as a nation and as a business community has been pretty weak. 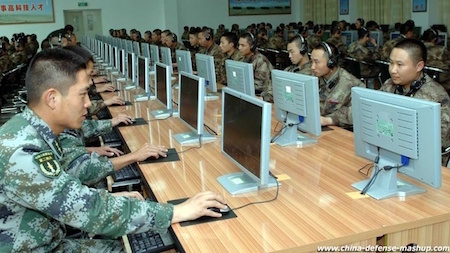 Face it: We are at war with the largest cyber armies in the world—and not just Russia or China.5 The financial impact is far more than the overt terrorism that plagues us. A 21st Century War with Russia or China is not likely to be fought with guns.6 Rather it is about economics. Stealing trade secrets has been a constant activity of Russia and especially, China. Before he left office, President Obama stated, “The Chinese have, in the past, engaged in cyberattacks directed at our companies to steal trade secrets and proprietary technology. I had to have the same conversation with President Xi. And what we’ve seen is some evidence that they have reduced, but not completely eliminated, these activities.”7 Really? Although they may seem to be hacking our country and your company a little less, it appears that they just transferred their hacking to our more vulnerable trading partners. Since the US outsources so much technology, this is not a time to become complacent. And the World Customs Organization reported that “the number of registered cases of IPR infringements by customs over the last 10 years has risen from 7,553 in 2001 to 90,473 in 2012, an increase of 1200% over a decade.”11 By various estimates this represents $455B to $650B in losses. The US Trade Representative has a watch list of countries where there are major violations of our product protections. Currently these are: Algeria, Argentina, Chile, China, Ecuador, India, Indonesia, Kuwait, Pakistan, Russia, Thailand, Ukraine, and Venezuela. “The problems of trademark counterfeiting and copyright piracy continue on a global scale and involve the mass production and sale of a vast array of fake goods and a range of copyright-protected content pirated in various forms. Counterfeited goods include semiconductors and other electronics, chemicals, automotive and aircraft parts, medicines, food and beverages, household consumer products, personal care products, apparel and footwear, toys, and sporting goods. Note: Even though the Trade Representative emphasized hacking, a vast amount of counterfeiting is done by reverse engineering of products. Companies need to be extra vigilant, especially in the early stages—during design and strategic supplier selection, through to product launch, for starters. It is also essential to ensure you are not trading with those on the denied parties list, that you know who you are selling to, and if and when you do decide to outsource that you have legally vetted the supplier—and their suppliers. Again, supplier risk programs should be the lifeblood of your manufacturing and sourcing strategies. Then, in logistics, the issue is traceability—and depending on the product—at a serial number level from source through to the consumer. Although specific financial numbers are not generally reported to the public on how much is spent recovering from breaches, product recalls, and so on, our data shows it can bury small companies and severely impact the balance sheet of the large. 1. Brand value and customer loyalty. The event itself is bad enough. It feels like a violation and business owners take this very personally. Why me? But subsequent revelations are bound to unfold that expose the company’s internal practices—or lack thereof—and shine a light where companies don’t wish to be exposed. In testimony before the US Congress, House Small Business Committee, Rick Snow, a small business owner from Maine, stated, “I logged into our bank account, and to my utter horror, I found that my balance was zero.” Hats off to Mr. Snow for coming forward, since many businesses are loath to speak in public about this. 2. Injury to customers and employees. Consumer safety is paramount to avoid the tragic and legal consequences of bad products. Since there are virtually no legal or financial consequences for the damage done outside their own borders,16 corporations must have a strong defensive strategy. Statistics show17 that it is more than 30 days before a company even realizes they have been hacked. By then, the horse has gotten very far from the barn, and won’t be retrieved quickly, if at all. Millions of jobs. 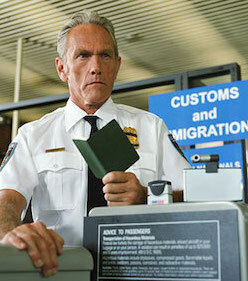 If IP were to receive the same protection overseas that it does here, the American economy would add millions of jobs. A drag on U.S. GDP growth. Better protection of IP would encourage significantly more R&D investment and economic growth. Innovation. The incentive to innovate drives productivity growth and the advancements that improve the quality of life. The threat of IP theft diminishes that incentive. 4. Loss of shareholder value. For large and public firms, losses can be from 2% to 8% when these breaches are announced. Loss of sales. Wary consumers flee. And often, the company has to offer discounts and incentives to woo customers back, reducing profits. Lack of business continuity. Disruption of your business activities. Recovery costs. The forensic teams swoop in—not a cheap affair. Firms also have to put in place reputation risk and communications teams to deal with customers, trading partners and media; and customer service staff to deal with customer issues. Firms often set up services such as credit monitoring and other services for their customers to use, so additional fees accrue. 5. Unstoppable bleeding. Often these issues—counterfeiting, hacking and so on—go undetected for so long that it just may be too late. And small companies simply don’t have the resources to go after the bad guys. Litigation in those countries (responsible for most of the counterfeiting) is a sad affair. You may be able to shut down a plant, but they just open a new one under a new name down the road. It is a game they have become quite good at. As a result, even when counterfeiting is detected and perpetrators known, the vast majority of brand owners don’t have the resources to go after them. 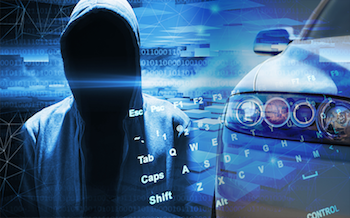 To quote Wired, a “…pair of security researchers proved beyond any doubt that car hacking is more than an action movie plot device…” when they hacked a jeep and ran it off the road, causing a huge and important reaction by DOT and the FBI. To further quote the FBI, “Once exploited, the vulnerability allowed access to and manipulation of critical vehicle control systems; the population of vehicles potentially at risk was huge; and the likelihood of exploitation was great…” (underlining mine). Reliable. Secure. Safe. These are all words our customers, our trading partners, and even our work colleagues expect to hear when using our products, exchanging cash, sharing information and interacting with us. However, the last few years have seen a significant decrease in secure, safe or trustworthy, and an increase in the incidence of hacking and other risks. As Abraham Lincoln said, “You cannot escape the responsibility of tomorrow by evading it today.” It seems that business, government and, well, all of us have been trying to evade the obvious with the outcome now known. Not to be negative, but it will get worse if business does not take strong action. We cannot expect government to do much on our behalf.22 They have their own problems to sort out.23 Government and businesses need to create more agile and secure systems. If we can put a man on the moon and land vehicles on asteroids deep in space, surely we have the know-how to address these issues. The question is, do we have the will? 9 U.S. Office of the National Counterintelligence Executive: 2011 report. The efforts are official programs of the Chinese government. For example: “In its original state, Project 863 targeted seven industries: biotechnology, space, information technology, automation, laser technology, new materials, and energy. It was updated in 1992 to include telecommunications, and was updated again in 1996 to include marine technology. 22 But there is at least some help for small business: H.R. 5064, the Improving Small Business Cyber Security Act .